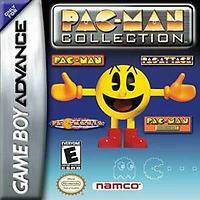 Named after the classic hit single by Buckner & Garcia, this collection of Pac-Man games is positively unrivaled. Illustrating very clearly, why Pac-Man is one of the only video games ever to spawn a popular song, Pac-Man Fever (the video game version) features three unique Pac-Man experiences for classic gaming fans and series newcomers. Start with regular, old-fashioned Pac-Man, the game that casts you as the little, yellow circle who'll need to eat all of the dots before the ghosts catch him. Pac-Mania is the memorable update of the first version, and adds an extra dimension and a "jump" button into the mix, while Pac-Attack is a puzzle game that challenges you to clear blocks out of the way by carefully lining them up (much like Tetris). It might be one of the very first video games introduced to the world, but it's still one of the best. Play alone or take on a friend!